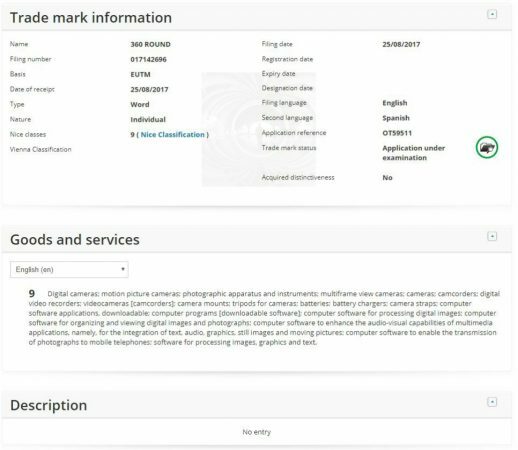 As first spotted by MobileKopen, Samsung filed for a new trademark called “360 Round” for a device with a model number SM-R260, which some have speculated will be a new 360 camera released in IFA Berlin 2017. Here’s what the new camera could be! 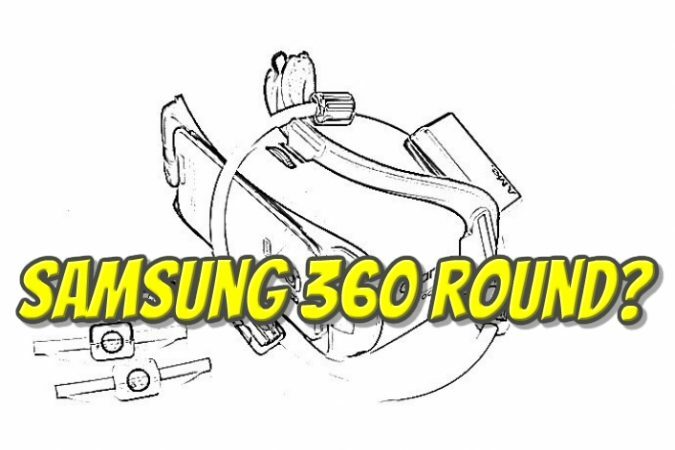 MobileKopen found a Samsung trademark application with the EUIPO trademark office for the name “360 Round” for a product with a model number SM-R260. The current Gear 360 2017’s model number is similar — SM-R210 — which raised the question of whether this was another 360 camera, and if so, whether it would be revealed in IFA Berlin. The trademark application explicitly classifies the device as a camera. As for the model number, the 2016 Gear 360 was SM-C200, while the 2017 Gear 360 was SM-R210. 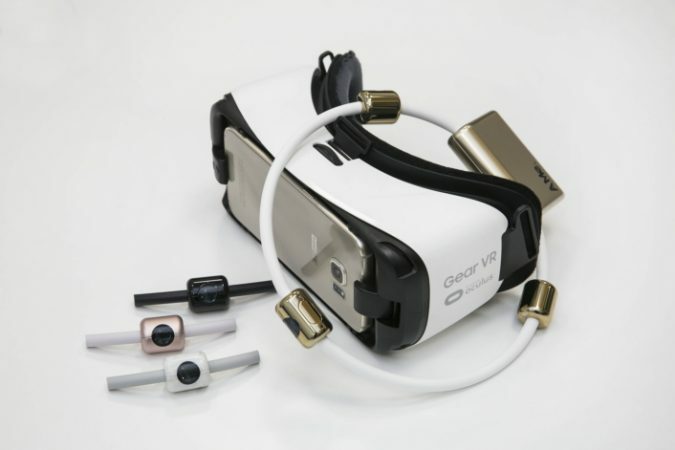 Other similar model numbers are SM-R130 headphones, SM-R320, SM-R321, SM-R322, SM-R323, SM-R324, and SM-R325 for different versions of the Gear VR. Based on the evidence, it appears that there is indeed a digital camera called Samsung 360 Round, with model SM-R260. Based on the FCC registration, it appears that this device will be released soon but I’m almost sure it’s not going to be at IFA Berlin this week. Is it a 360 camera? Samsung launched a new 360 camera both in 2016 and 2017, so I expect that they will launch another 360 camera at Samsung Unpacked 2018, and we’re in the right time frame for them to begin securing the necessary permits for it. The big question is whether it’s a 360 camera or some other camera. On the one hand, the name itself says 360 and it’s known to be a digital camera. It seems logical that it would be a 360 camera. Moreover, the model number is similar enough to the 2017 Gear 360’s SM-R210 model number. But the big question for me is, if it’s a 360 camera, then why isn’t it called Gear 360? Samsung has spent a lot of money promoting the Gear 360, and the Gear 360 has a fine reputation. Both the original and 2017 models were well received. I don’t know of any reason why Samsung would want to abandon the Gear 360 name. It had three cameras and was worn around the neck to provide a 360 view from a first person perspective for lifelogging. It’s hands-free and connects to a smartphone. Here’s a more detailed post about it. It’s round in shape so the name would fit. Here’s the kicker… do you know what the device was called? It was called Samsung AMe, which stood for “Around Me” (italics added). So, did the light bulb go off in your head? 🙂 Here’s the official Samsung website. Is this Samsung 360 Round? 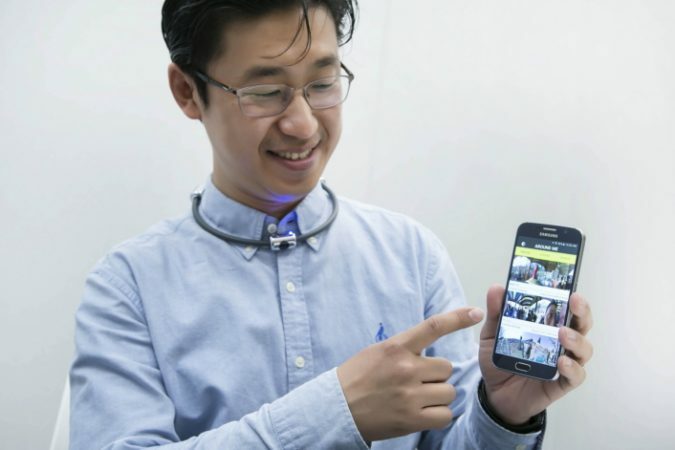 Although the device is shown being worn as a necklace, Samsung could easily make it wearable for a helmet / cap as well. Or they could tweak it to make it for sunglasses perhaps. How about you? Do you think 360 Round is likely to be a consumer version of the AMe prototype, or a 360 camera like the Gear 360, or a different camera entirely? If it’s a 360 lifelogger, do you think that would be useful? Would you want one? Let me know in the comments! Whatever the device is, we’ll likely see it launched at Samsung Unpacked 2018. And remember, if my prediction is correct, you heard it here first! (If not, then forget I mentioned it :D) Thank you very much to dana kaskus and sorry there’s one more reader who alerted me to this but I can’t find the message…! Argh. The original Gear 360 (2016) model is going for $84.55 on amazon.com prime USA site right now. I thought I got a good deal when I bought it last week there for only $99.95. Dang! That’s a great buy. I am totally happy with my Gear 360 (2016) camera as it takes darn good enough videos and pictures for me. I also just bought the Feiyu G360 stabilizer stick to go with it.